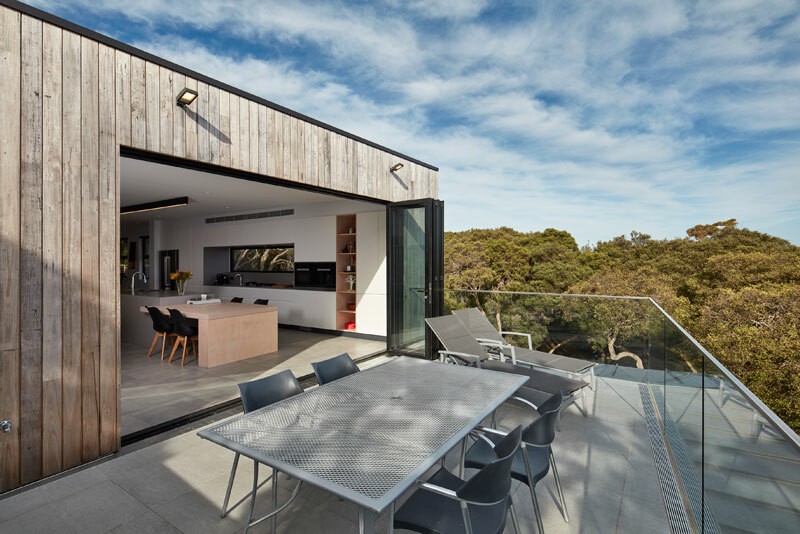 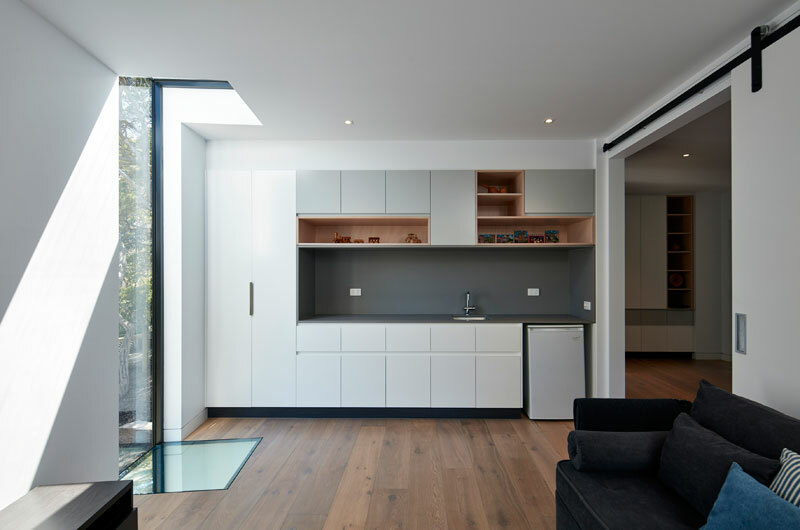 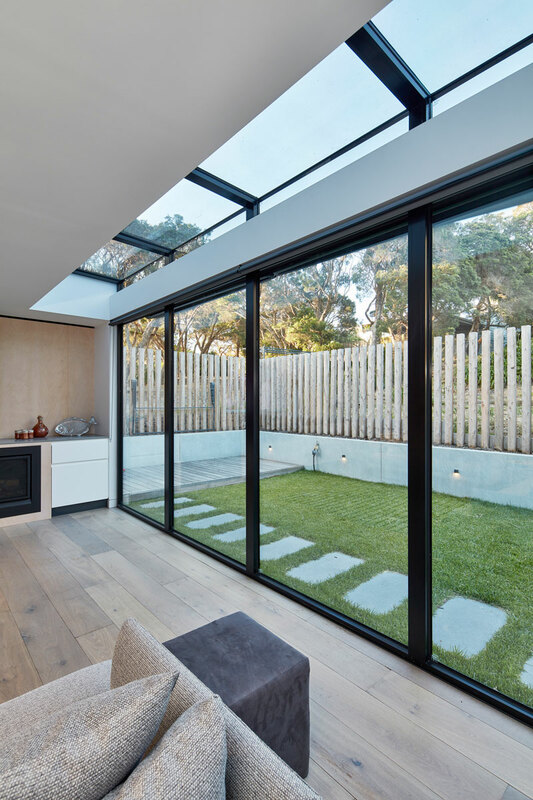 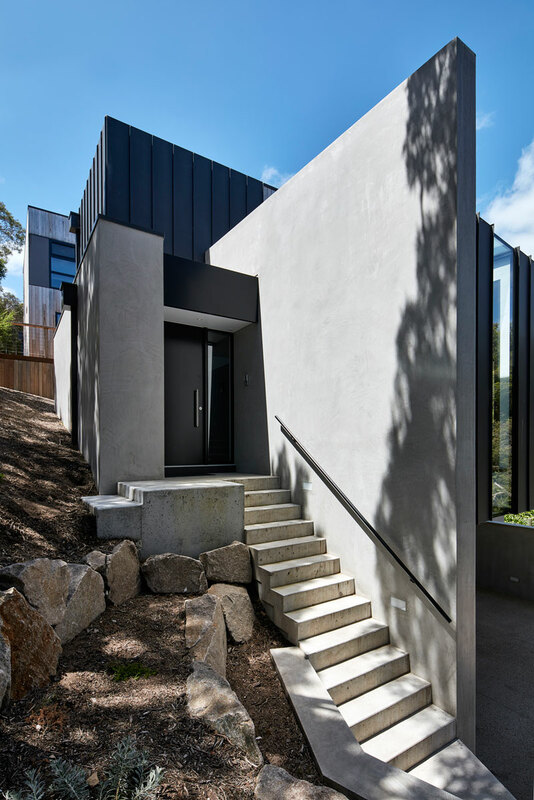 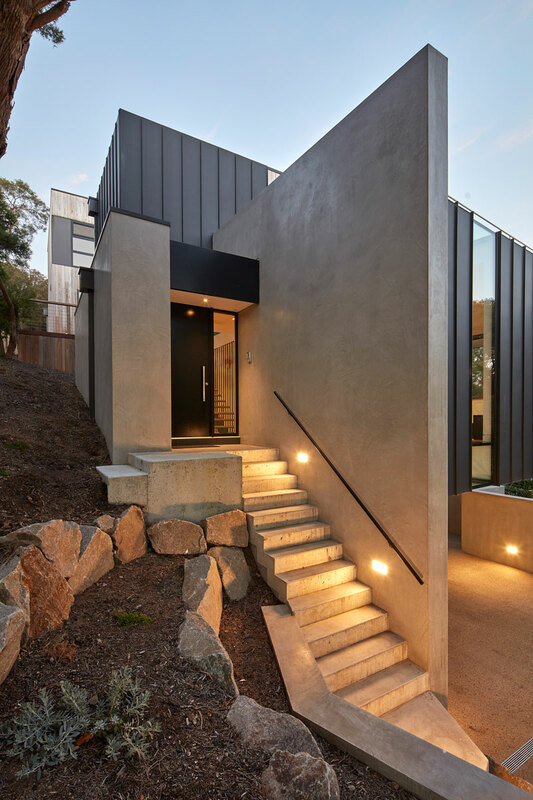 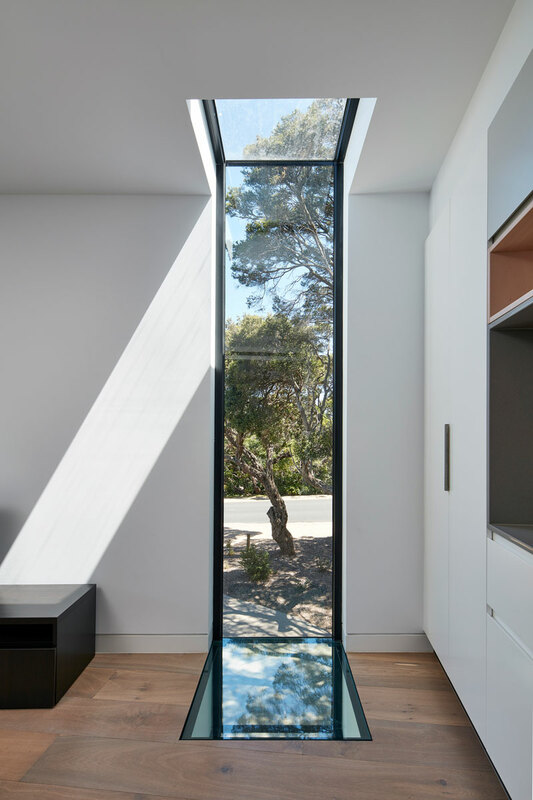 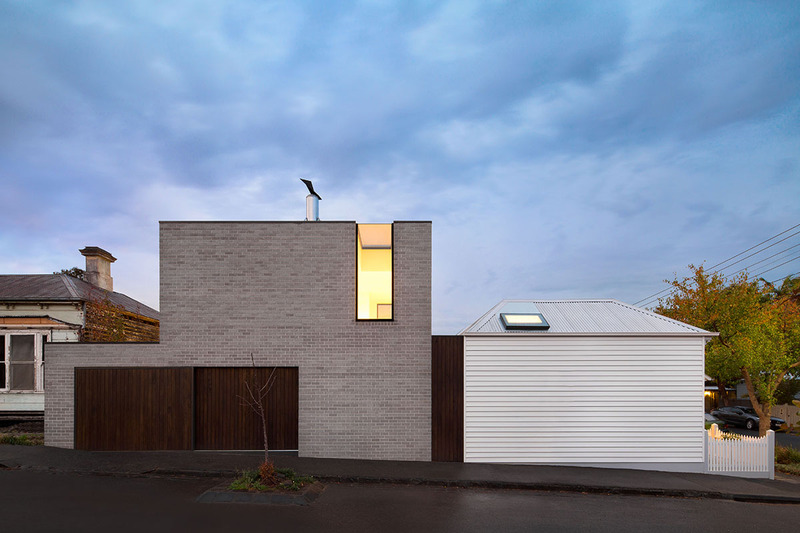 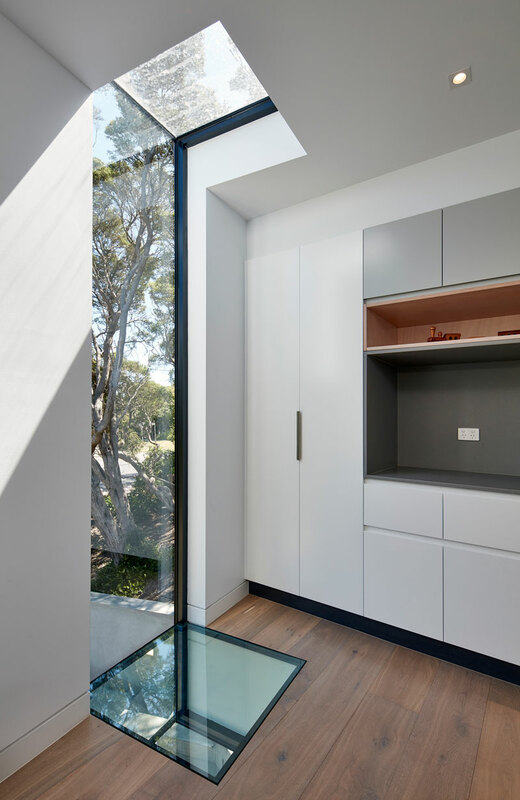 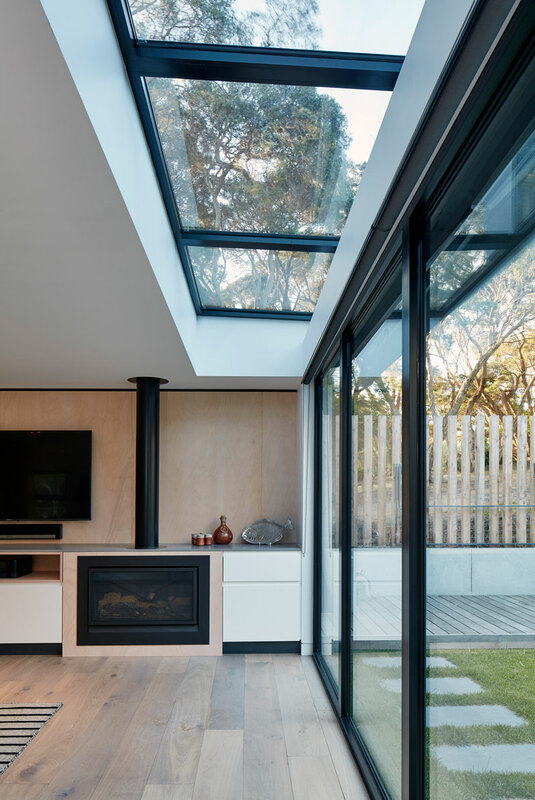 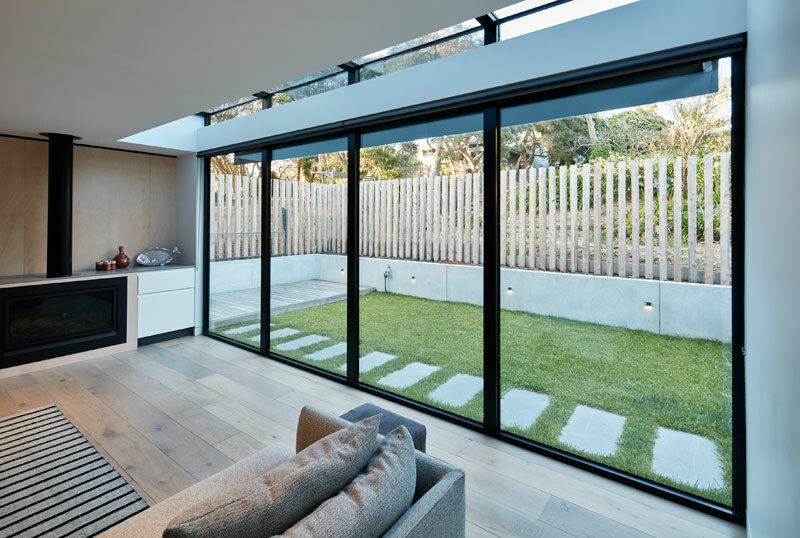 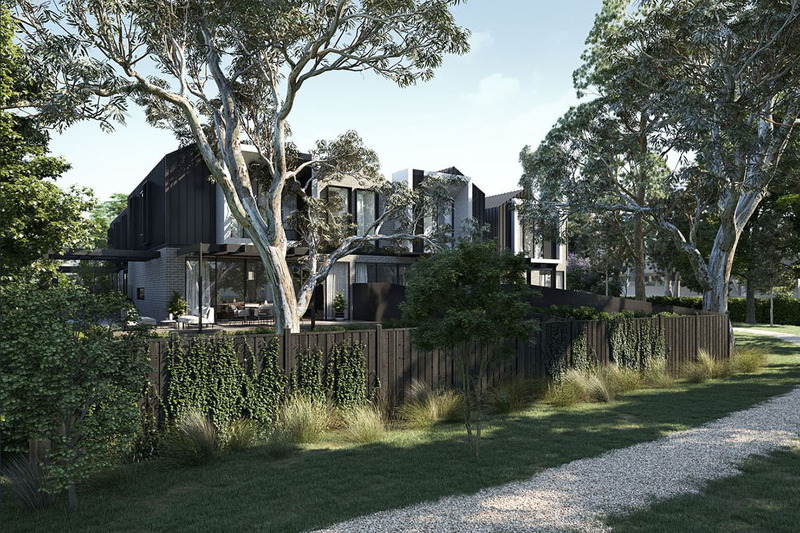 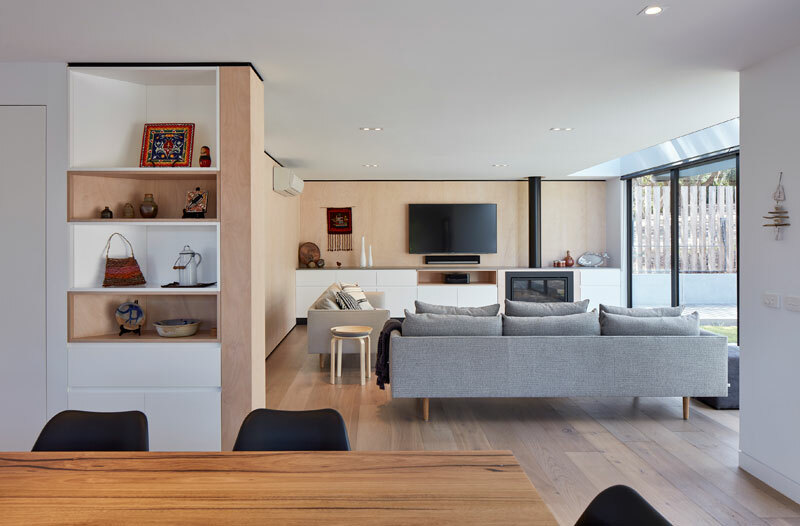 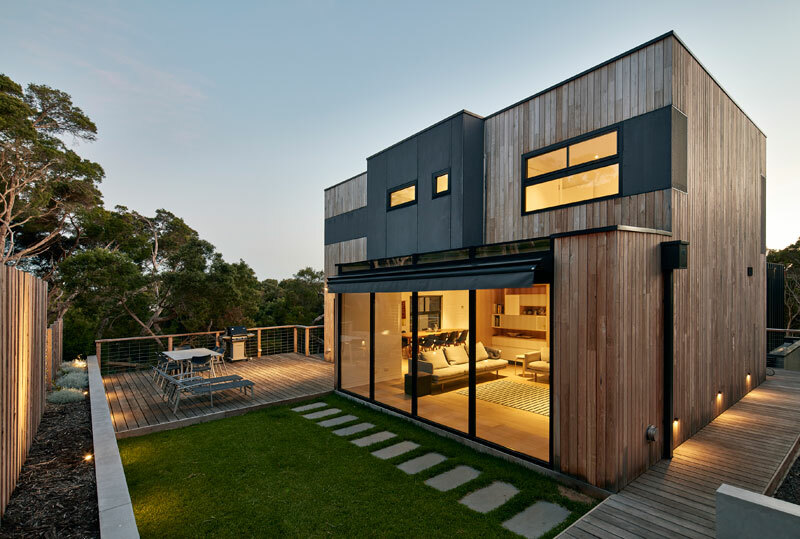 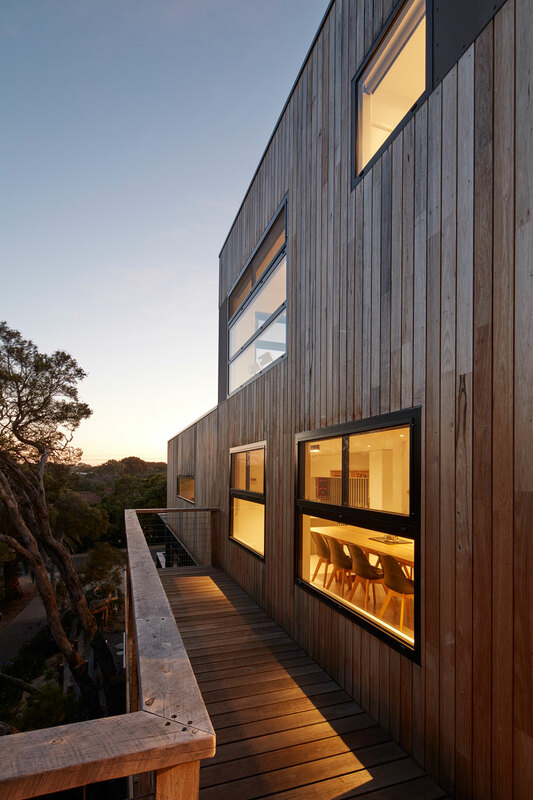 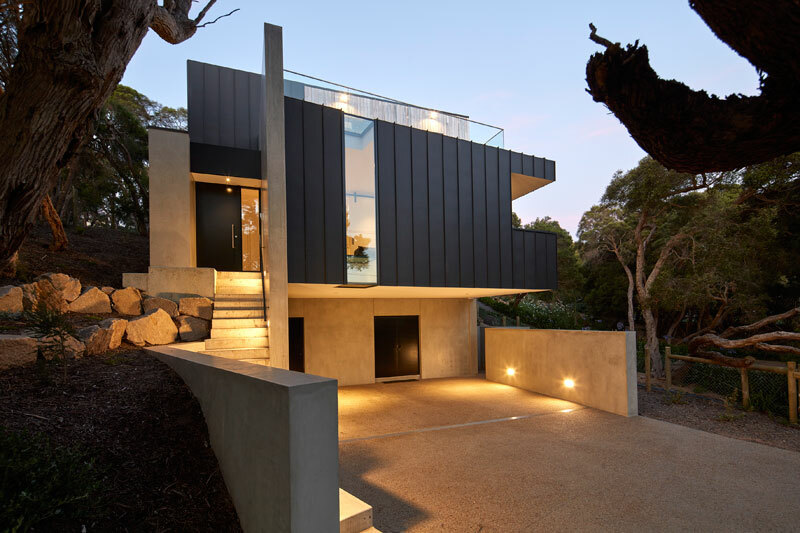 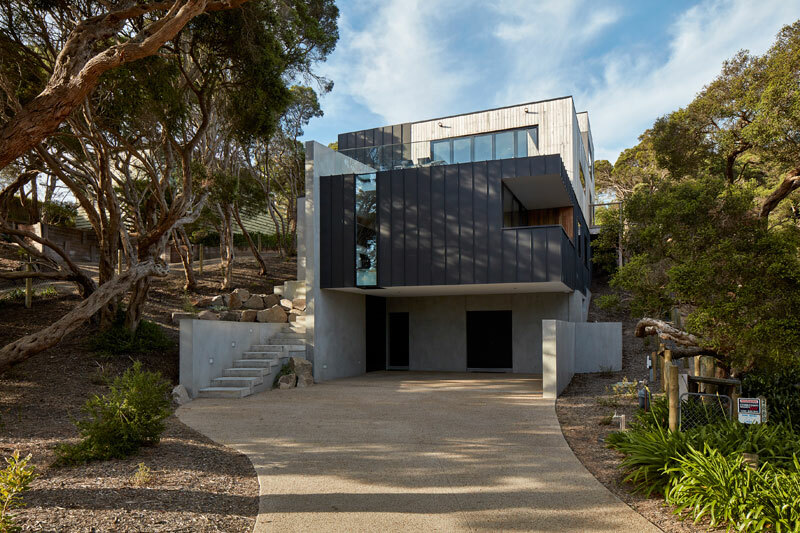 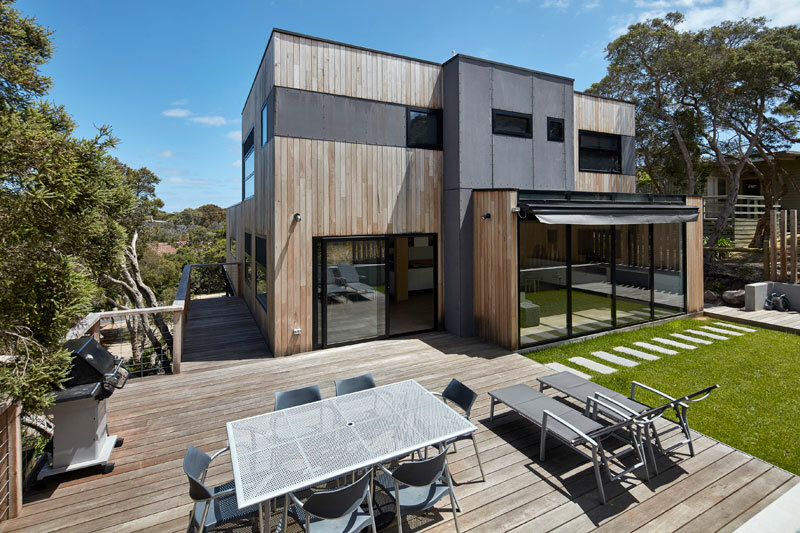 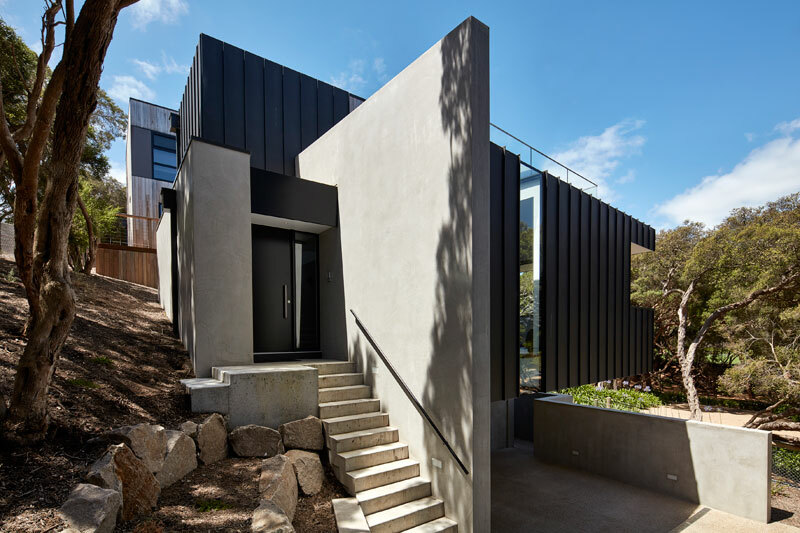 The Blairgowrie Beach House on the Mornington Peninsula retained a small proportion of the rear of the existing building and expanded forward on a steeply sloped site to accommodate additional living and sleeping areas. 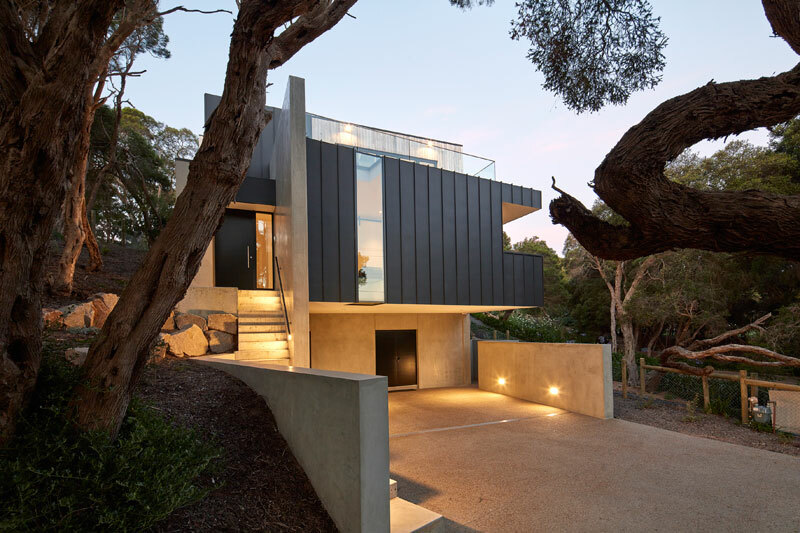 The external materials of the Blairgowrie Beach House have been selected to pick up on some of the colours from the natural landscape. 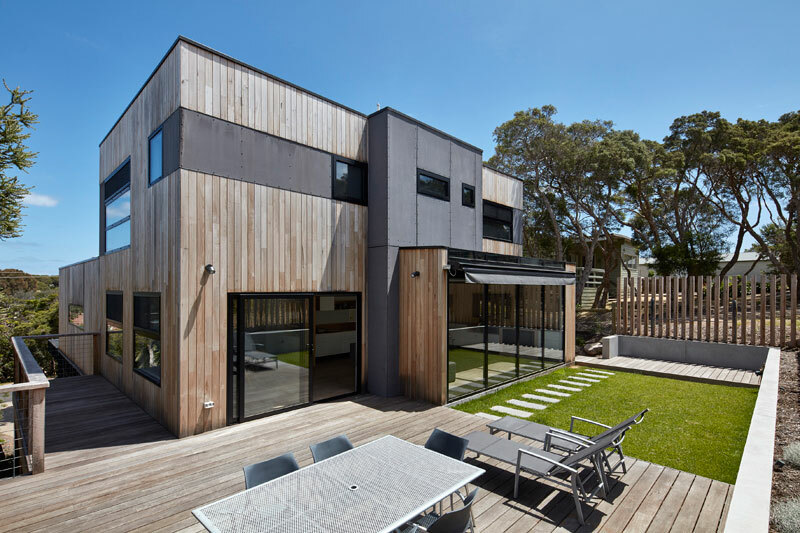 Part of the existing residential dwelling is being re-clad in silver top ash vertical timber shiplap cladding which will be left to naturally grey off. 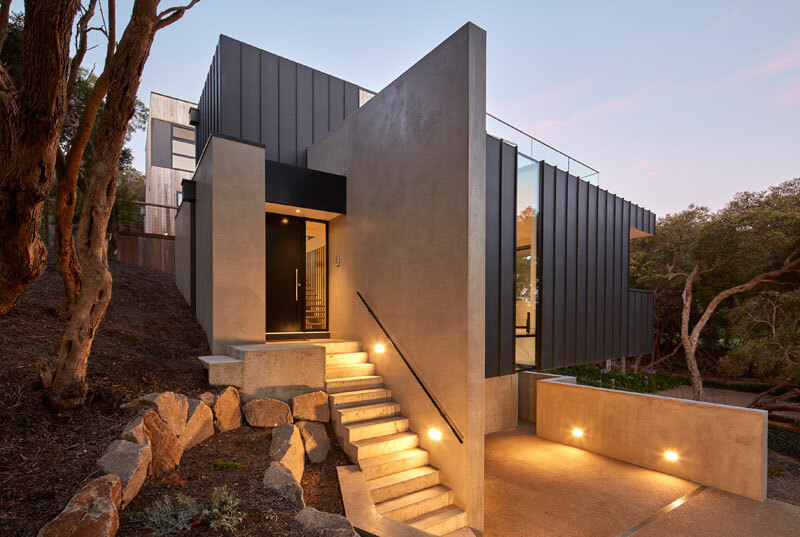 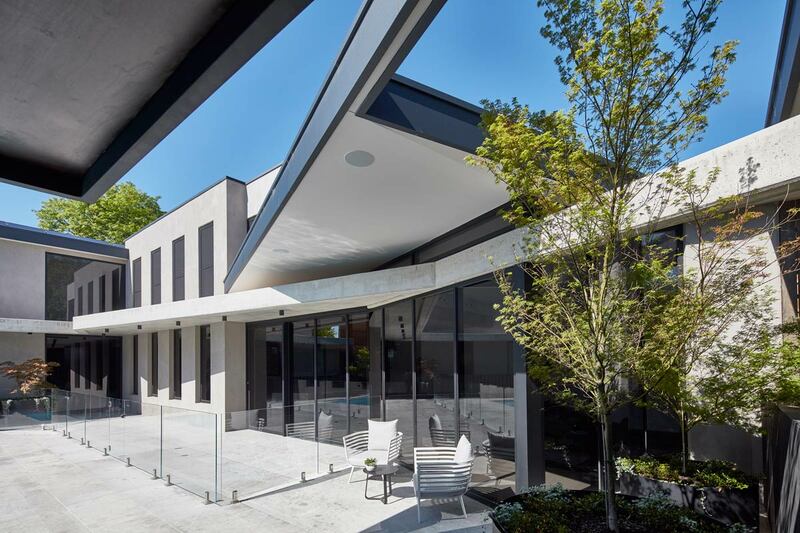 The new additions are finished in custom folded dark metal zinc cladding with a featured vertical standing seam at the panel joins, and the base of the building is finished with a light grey concrete render over concrete blockwork walls. 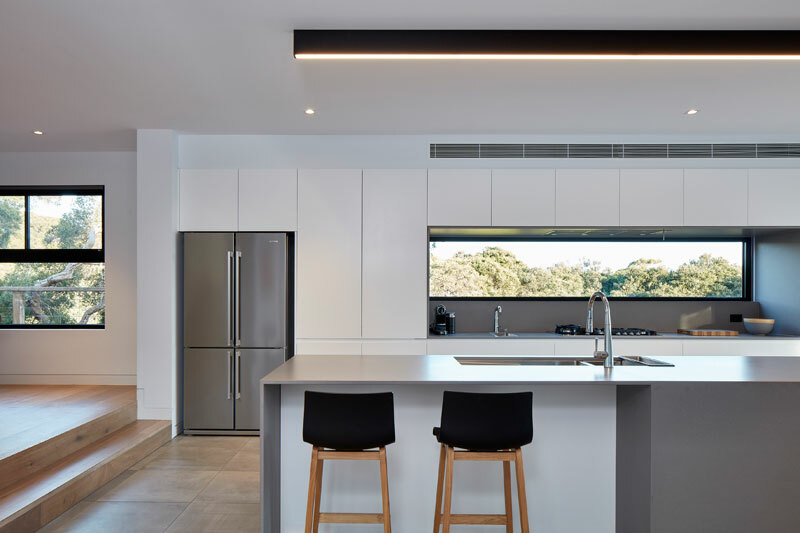 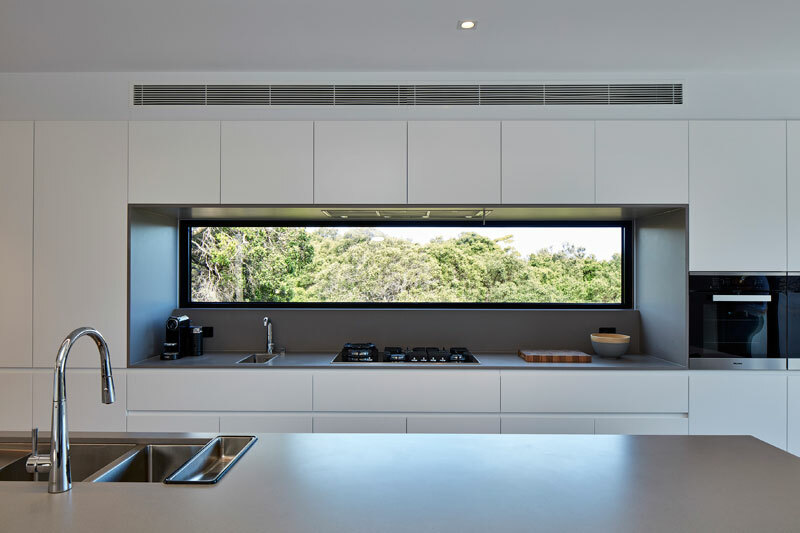 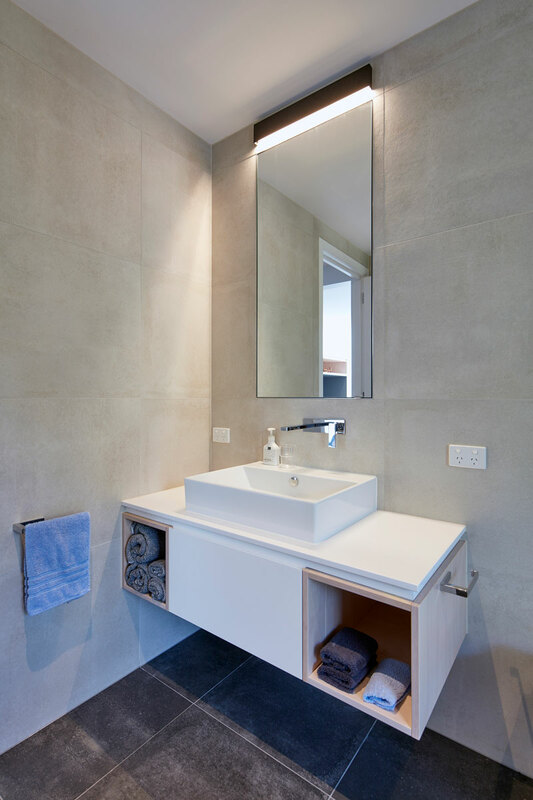 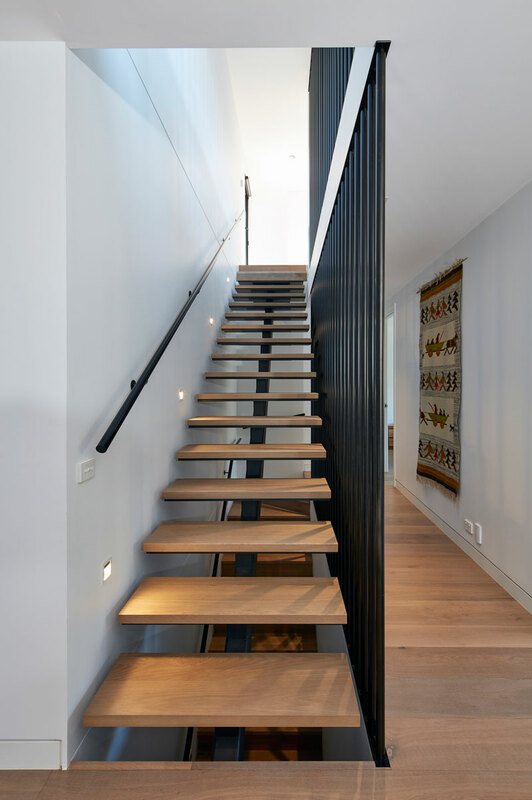 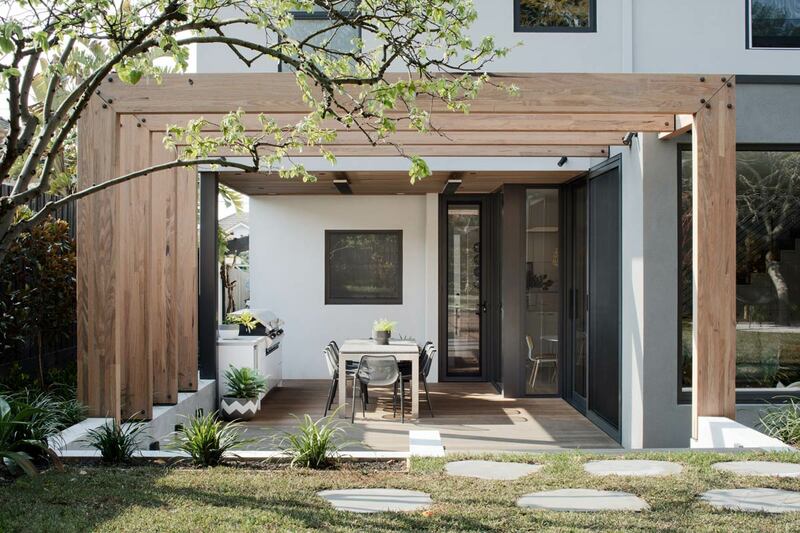 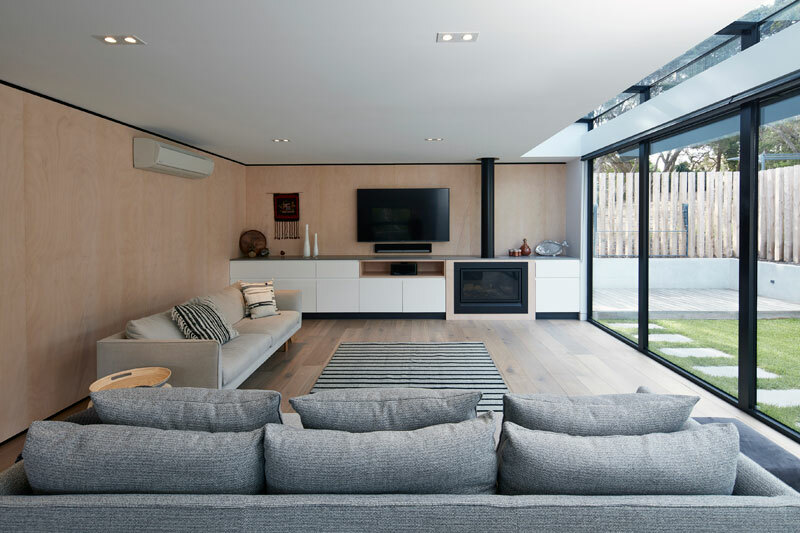 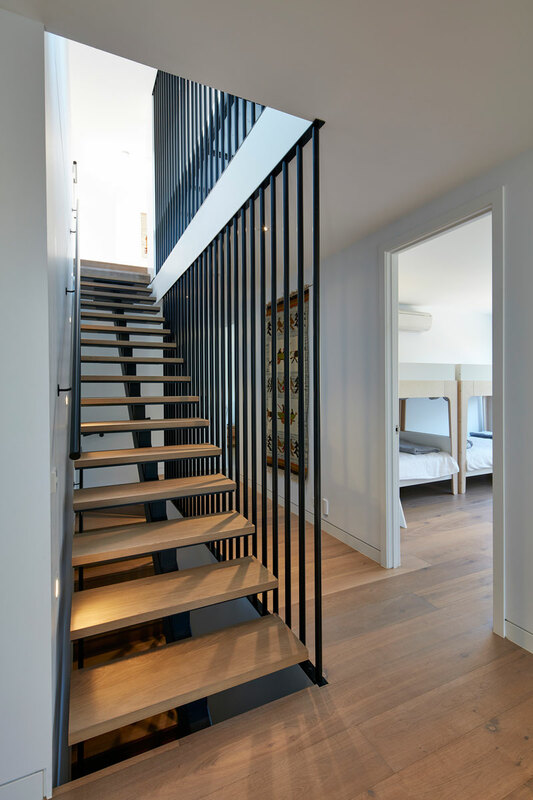 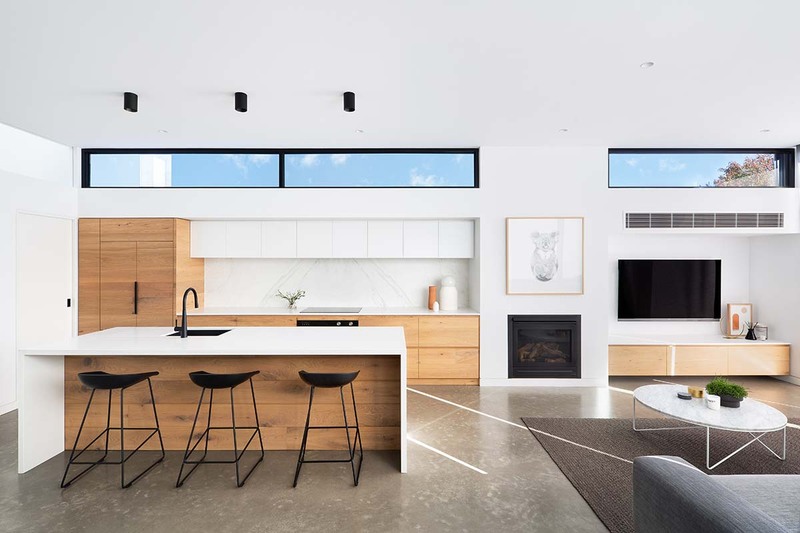 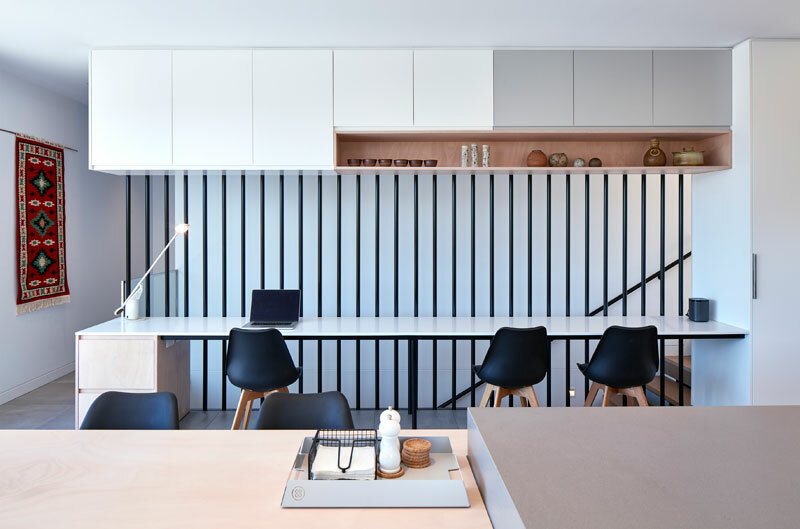 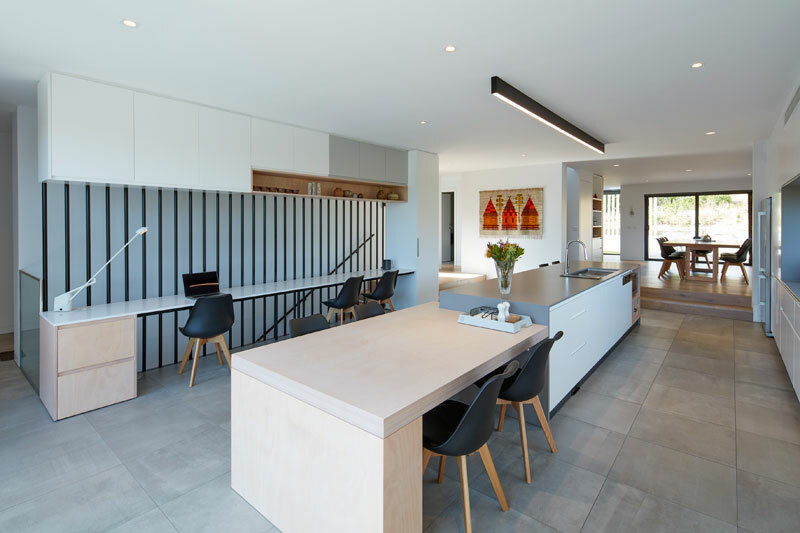 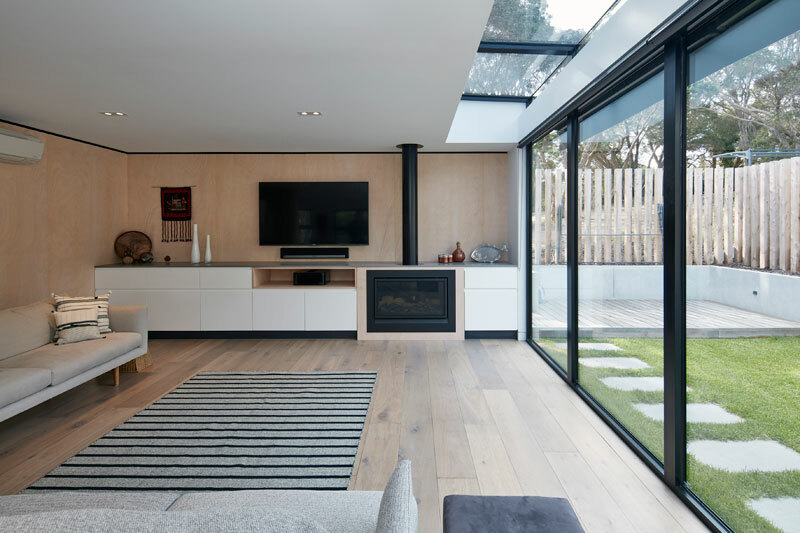 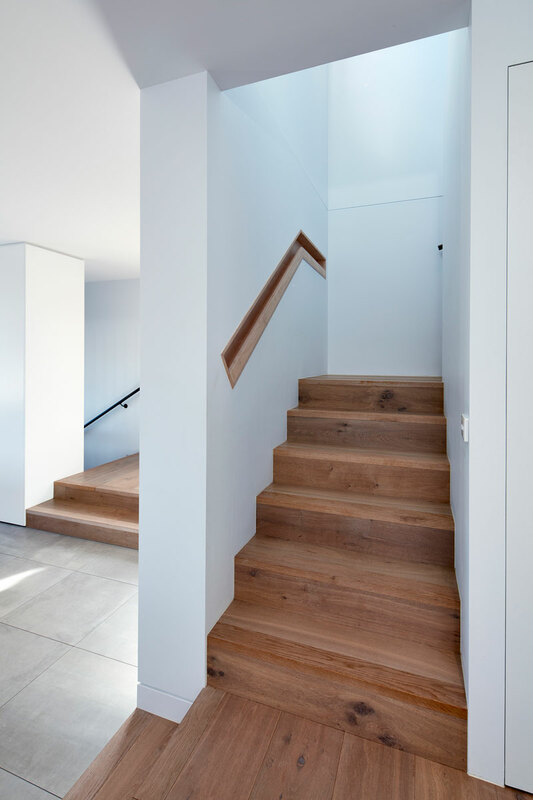 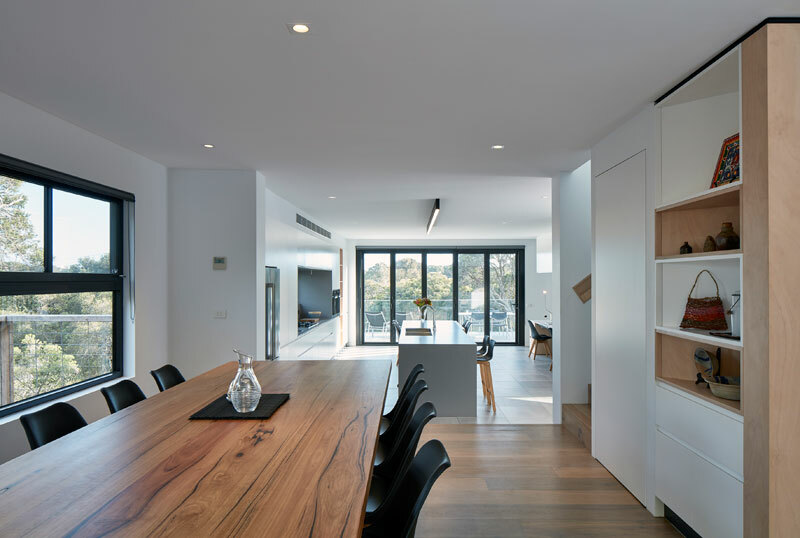 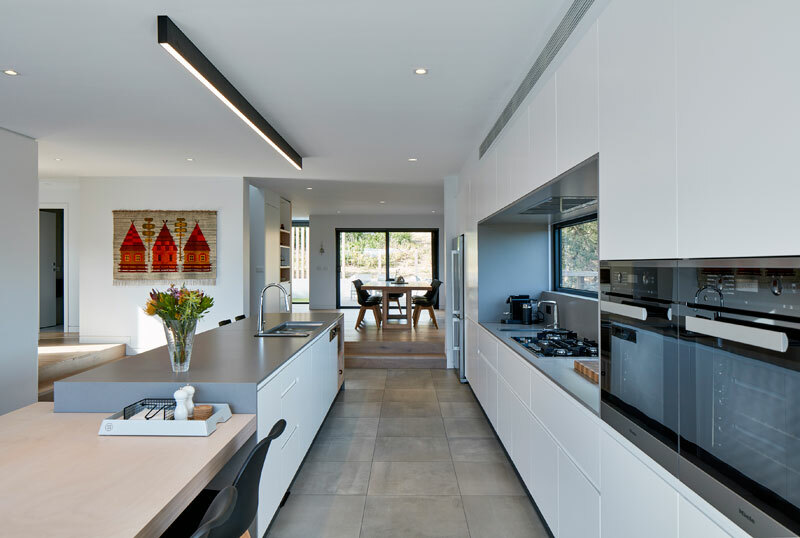 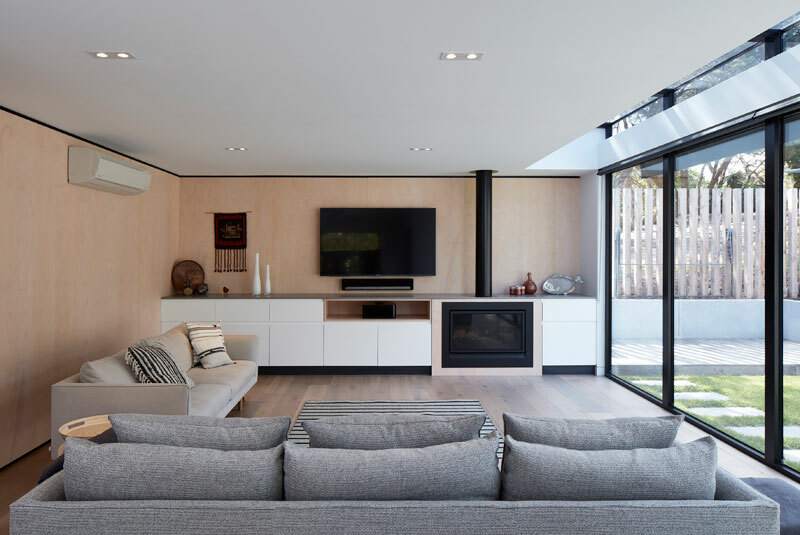 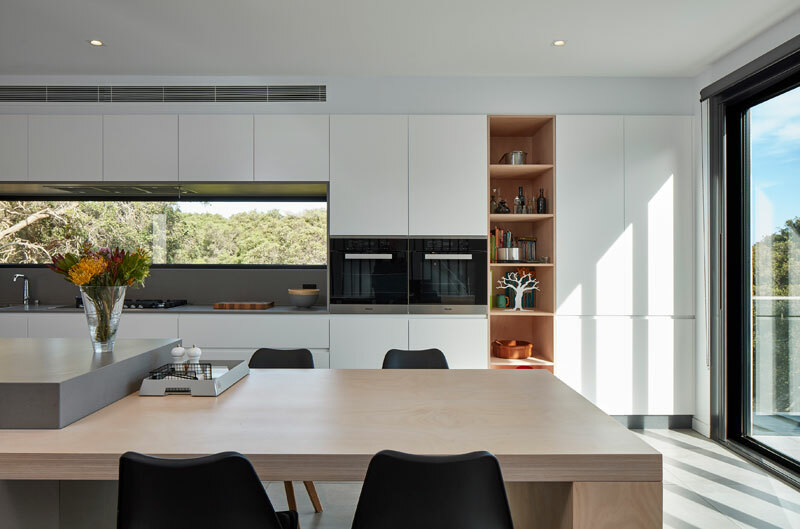 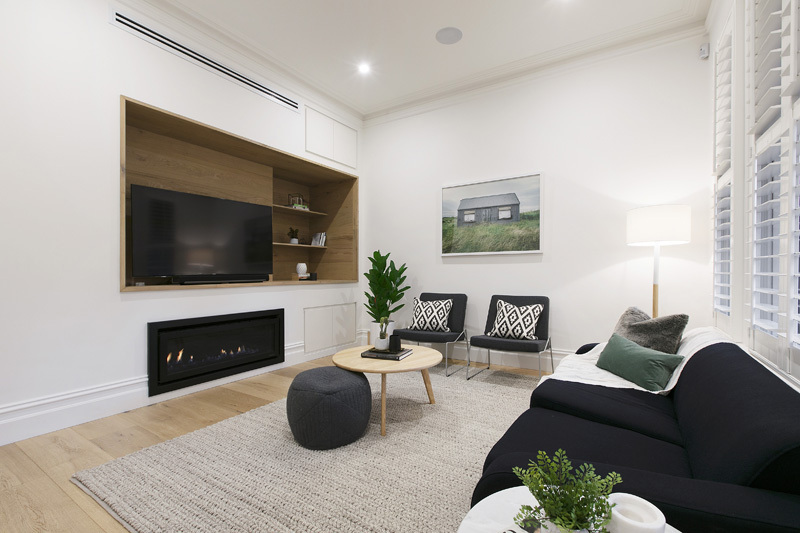 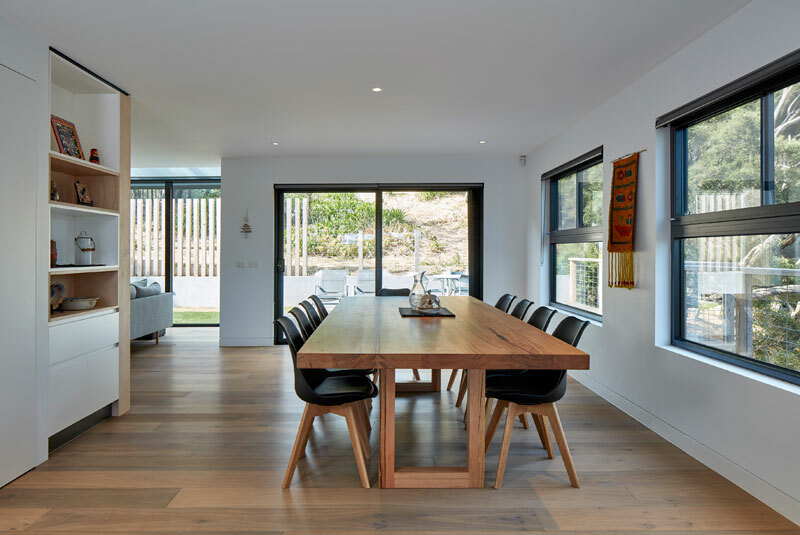 The interior of the Blairgowrie Beach House features a palate of white plasterboard, select plywood panels, and solid European oak timber flooring. 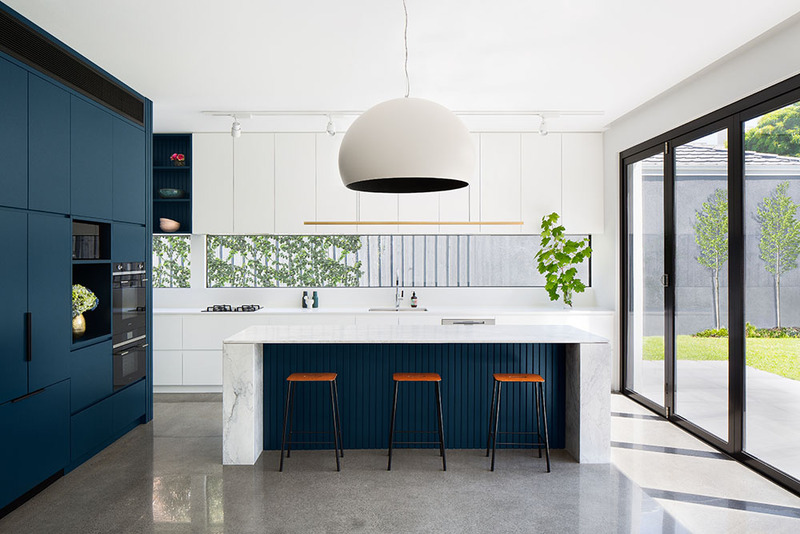 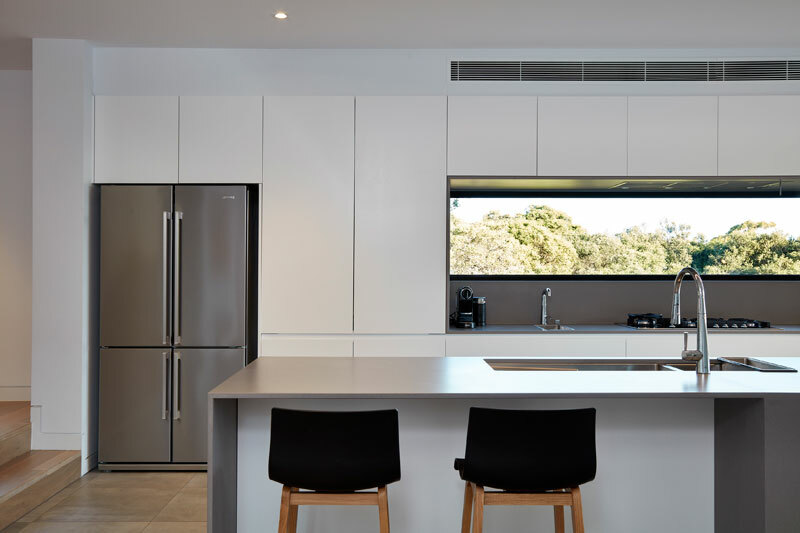 The kitchen has been detailed with a feature stone & timber benchtops and a waterfall edge to the island benchtop, and is matched with a stone splashback window. 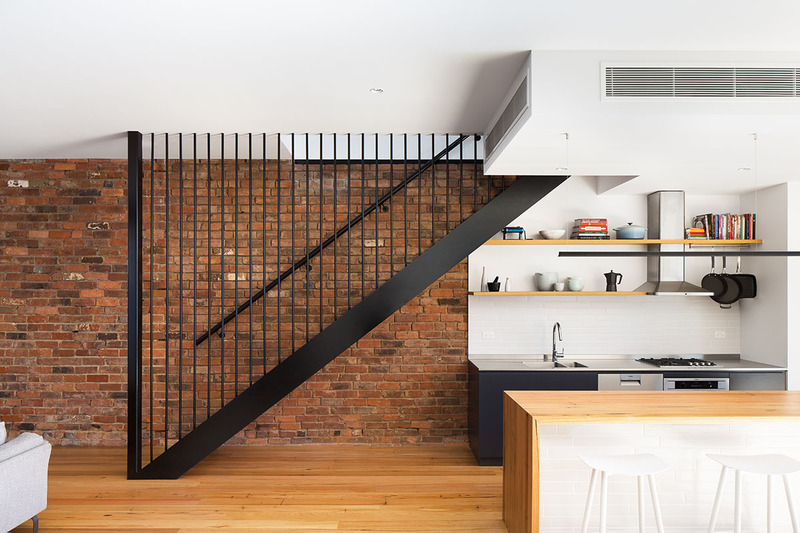 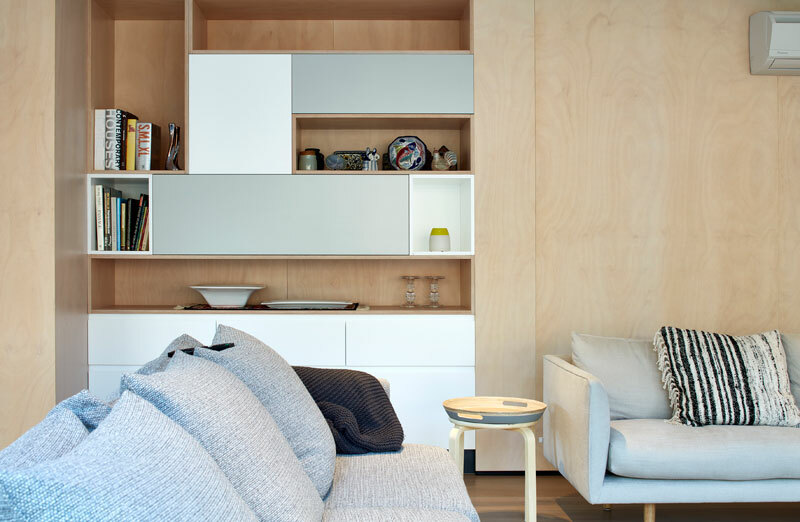 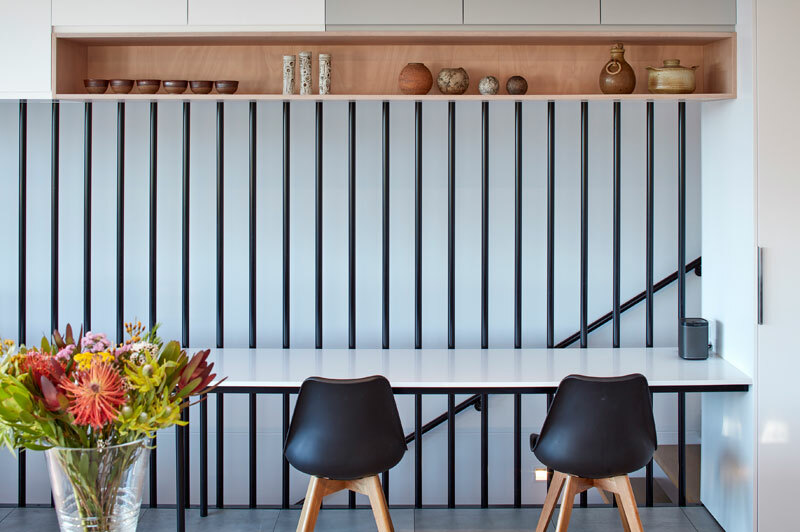 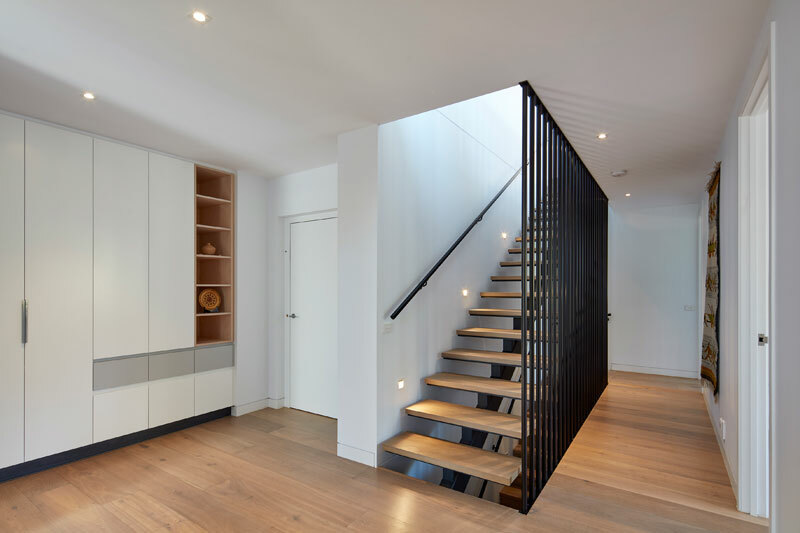 The other built-in joinery also features open timber shelving, and matching wall panels to add a texture to the interior spaces. 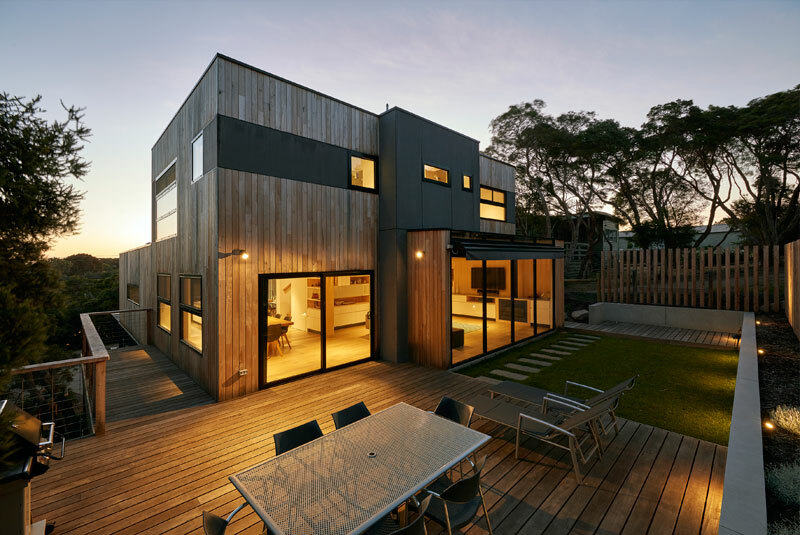 The external rear courtyard of the Blairgowrie Beach House was completed with low maintenance surfaces including timber decking, and feature concrete walls. 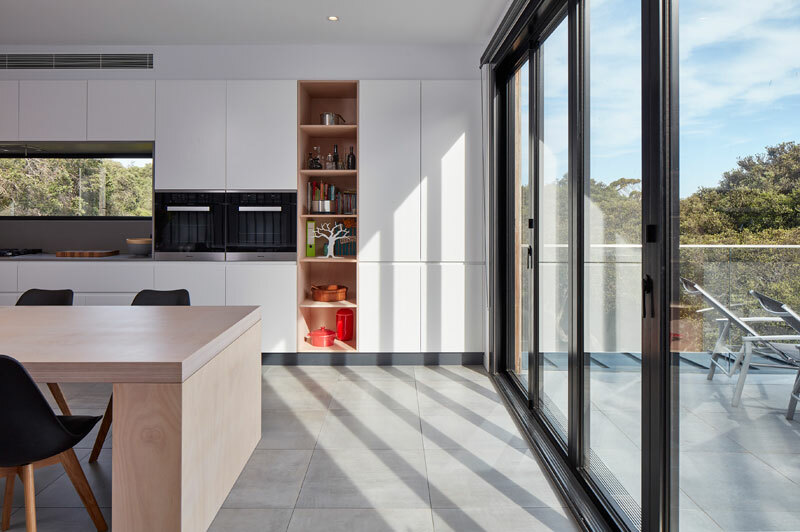 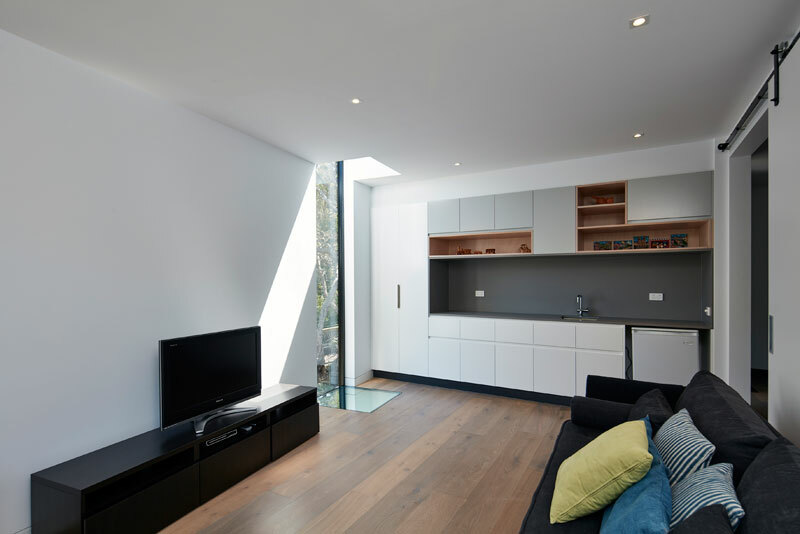 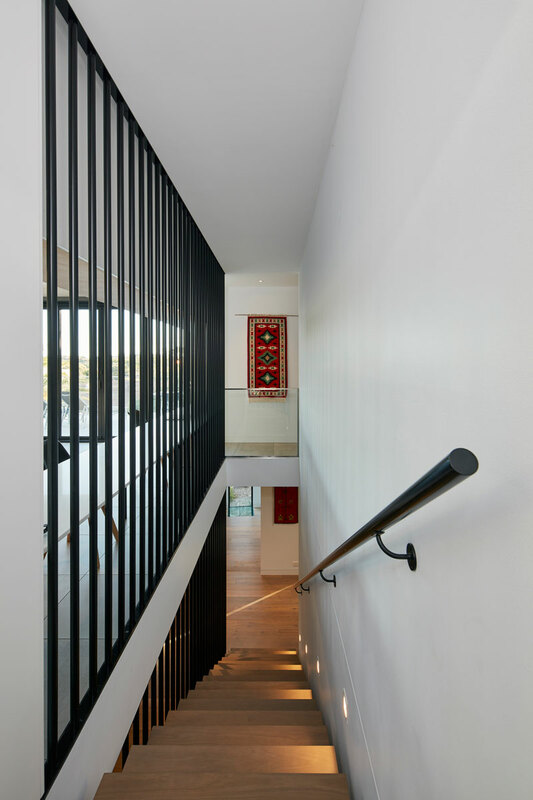 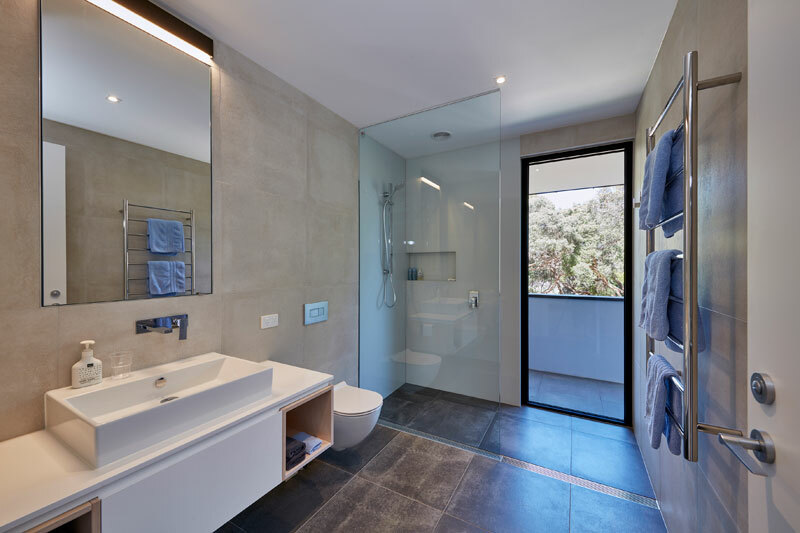 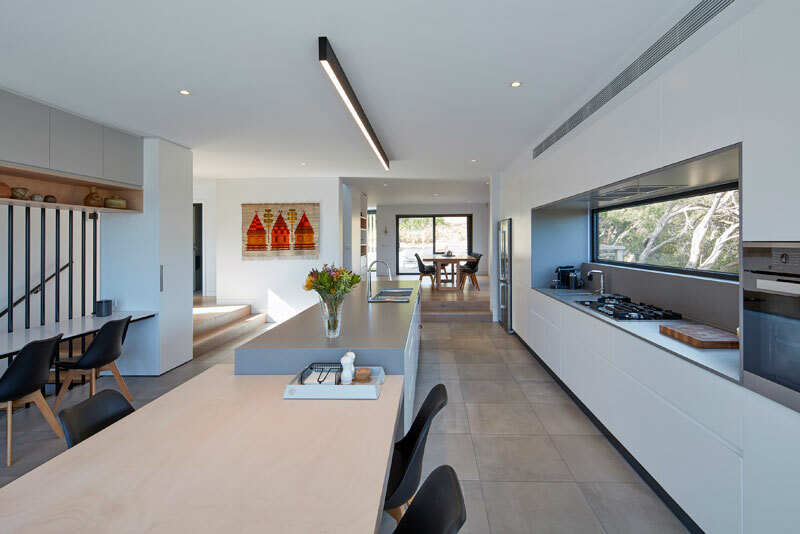 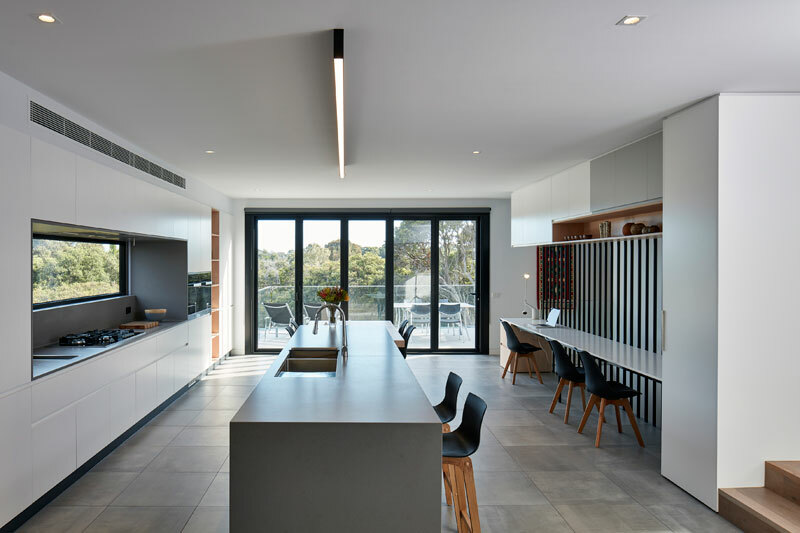 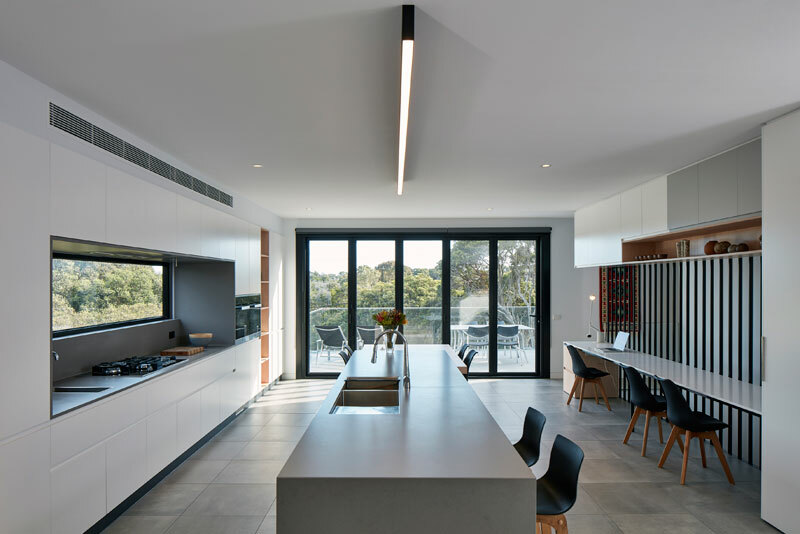 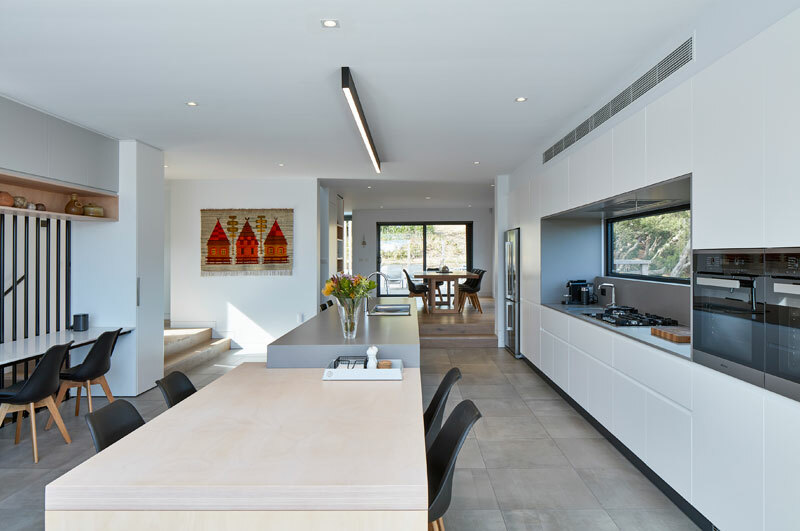 The residential phase of the Blairgowrie Beach House was completed in April, 2016.